I'm going to throw this out there and say this is BETTER than the arcade version! I recently played the arcade version and found it extremely annoying how slowly your spacecraft moves around the screen. The home computer version has much more responsive controls and is just more fun and engaging. 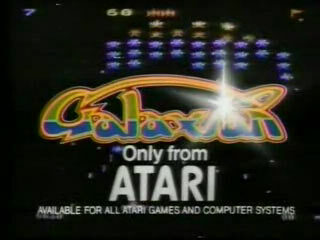 I'm still playing this game thirty something years on... One of my favourite games for the Atari. 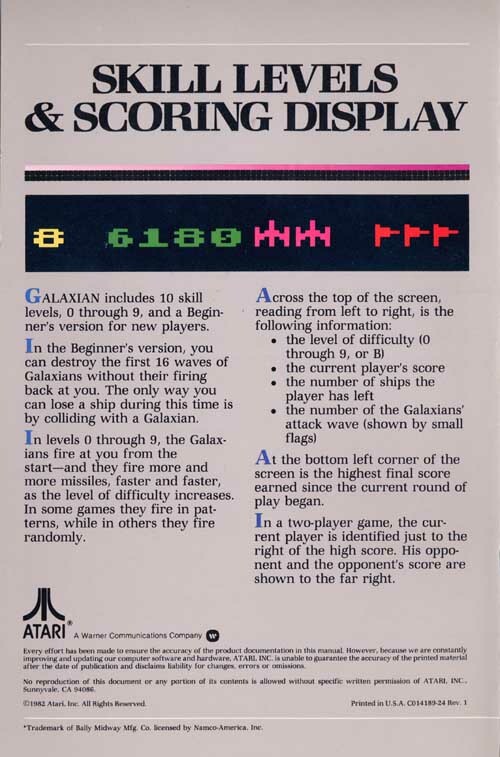 Not sure why this version of Galaxian is rated so highly. It looks a lot like the arcade version but the game play is way off. The aliens just fly too erratically. Galactic Chase plays much truer to the original. 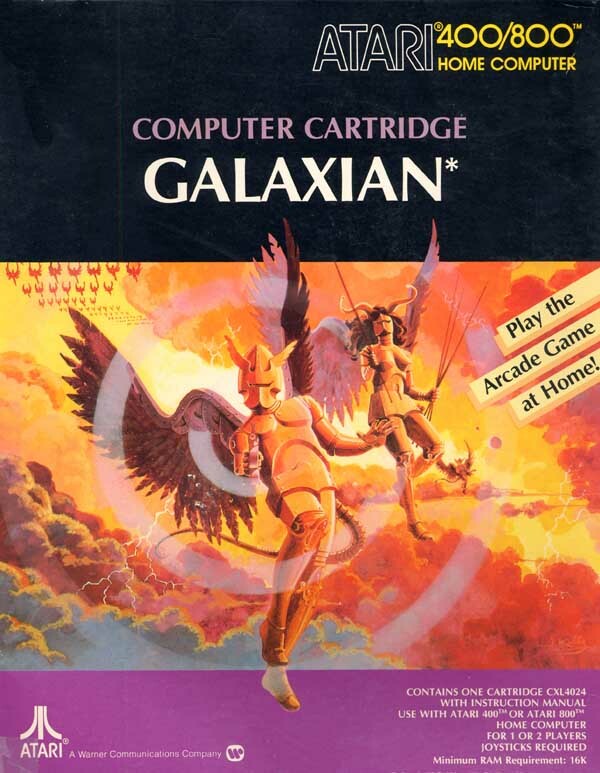 correction Galactic Chase does fit in under 8KB, I had been looking at its OEM cassette image which was more than 8K with tape FMS added to it. 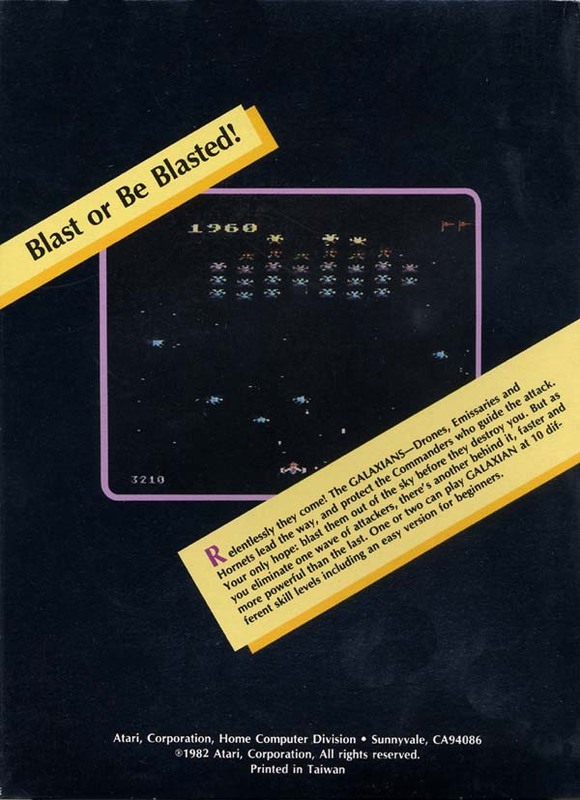 I never did much Arcade Galaxian (big Galaga fan) but I was under the impression that "Galactic Chase" by Stedek is truer to the original. 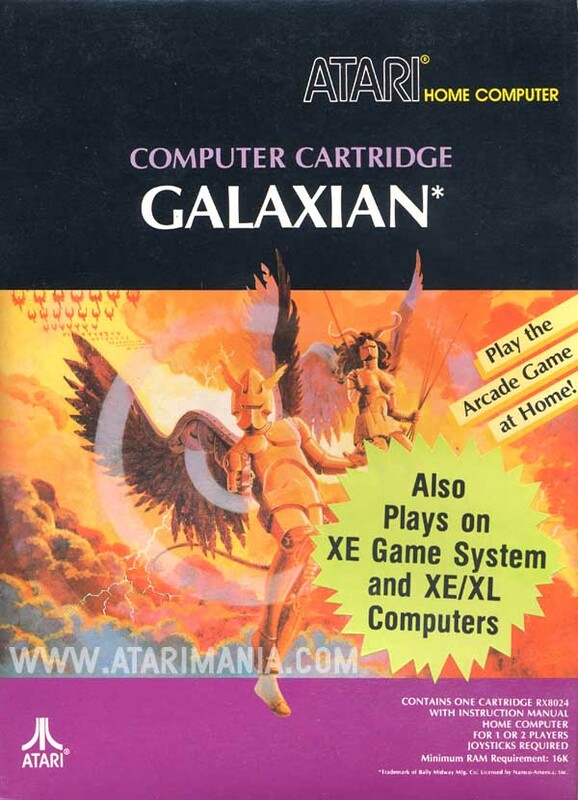 This Atari version is highly quirky but packs an impressive amount of animation and gameplay into 8 KiloByte. 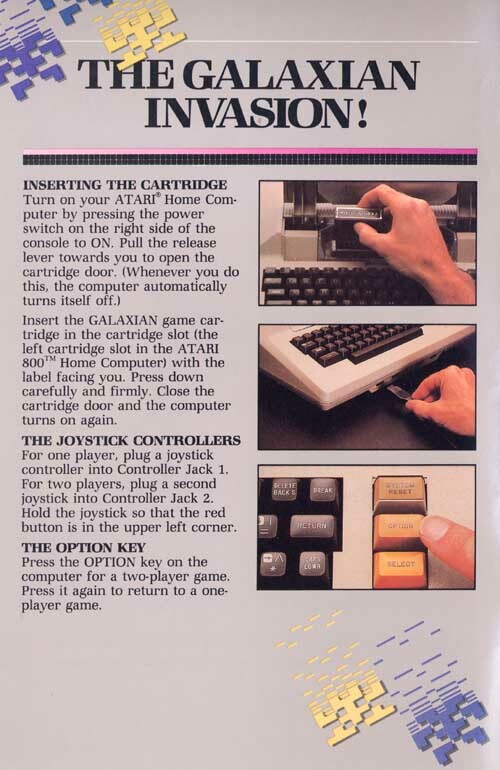 Seriously this is such an achievement I think the sound effects are so pathetically bad so they could maintain an 8KB cartridge for if the sound were any better I bet the cart size would be 16K. 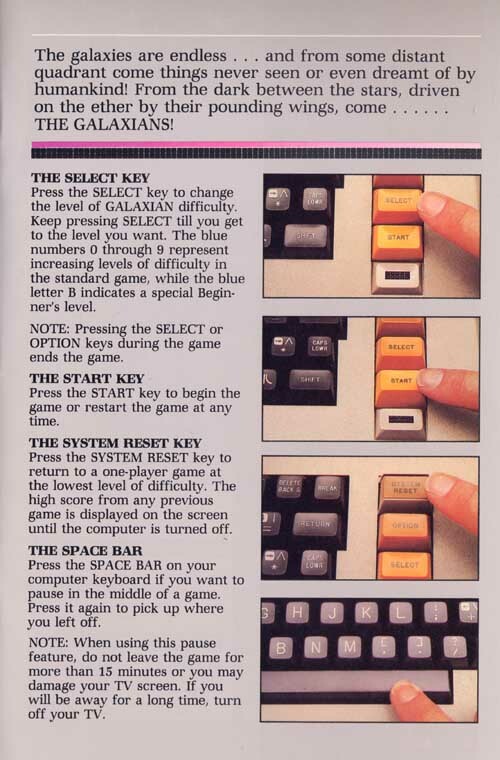 Galactic Chase takes up a lot more than 8KB. 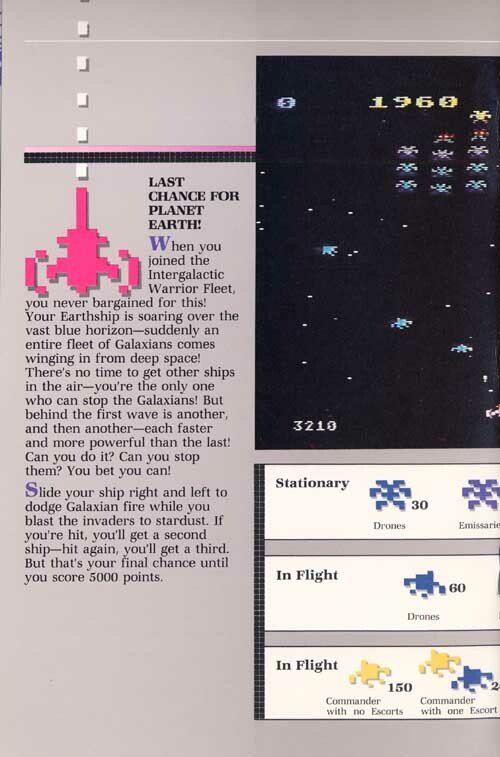 I think Atari prior to 1983 deliberately made Arcade conversions with changed albeit uniquely entertaining gameplay. They wouldn't "upstage" games bringing in quarter$ with ones that could be copied. 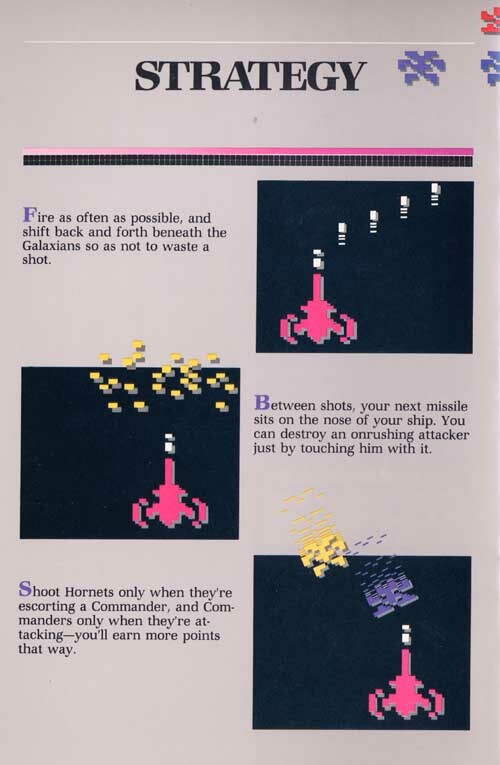 Space Invaders 1980, nothing like the arcade but still fun. 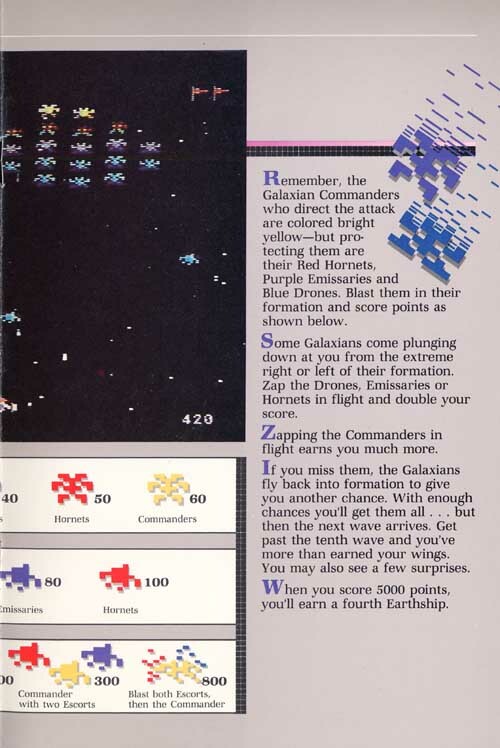 Centipede, and Asteroids? What a couple of let downs. 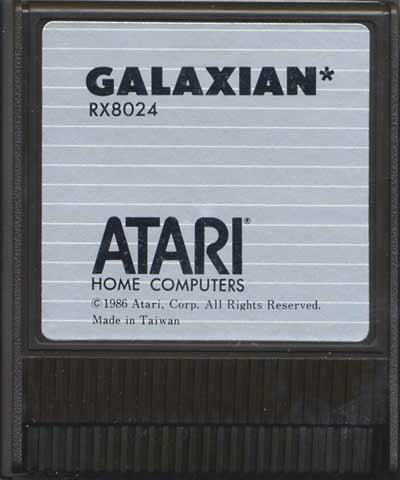 Go see "Megalegs" and "Asteroids Emulator" here on Atarimania, can't believe "A.E." it didn't get made until 2012! One of my first games and still one of my favorites. Level 9 was so hard, each enemy just rain-stormed you with bullets. 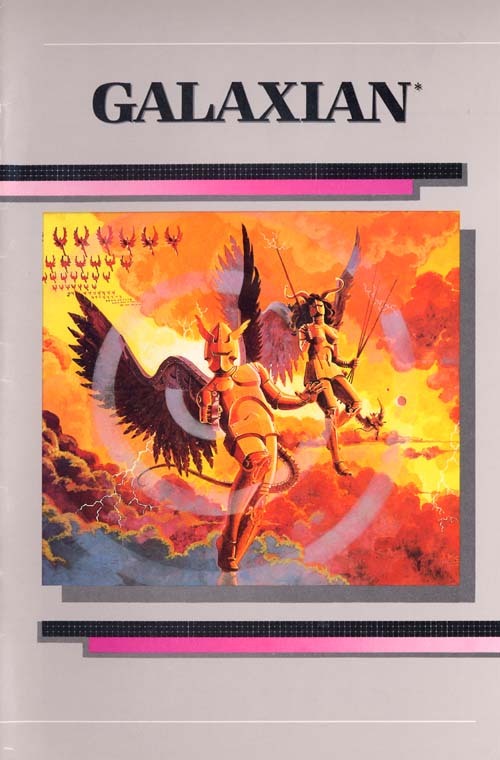 I loved this game and played it endlessly on the Atari 800 back in 1982. 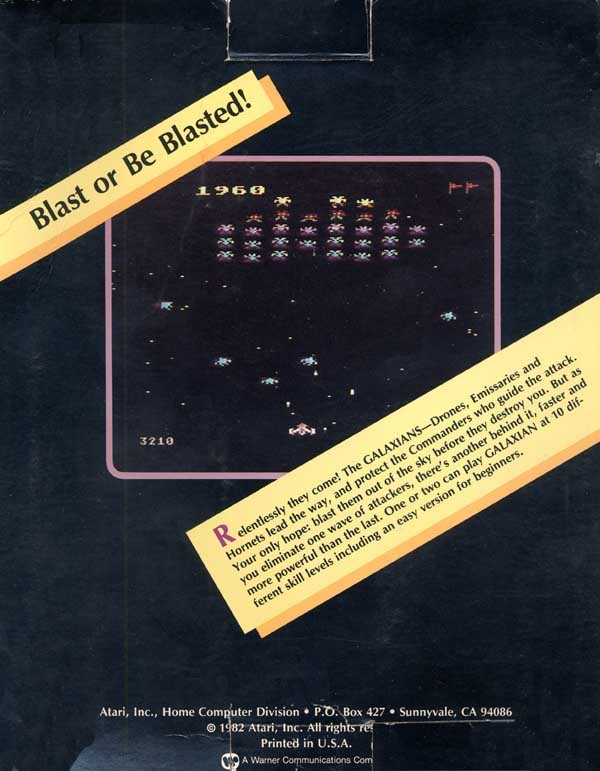 Fast and challenging, looks very close to the arcade, and lots of fun with a Wico joystick. 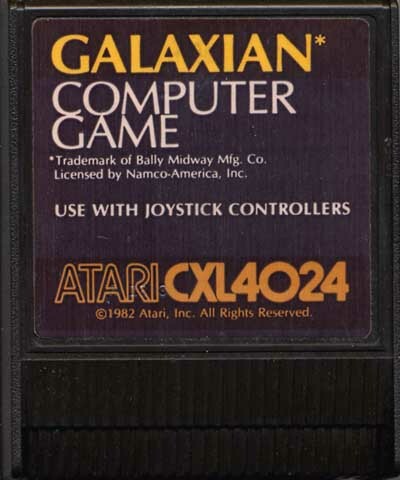 Ah - the first computer game I ever played! 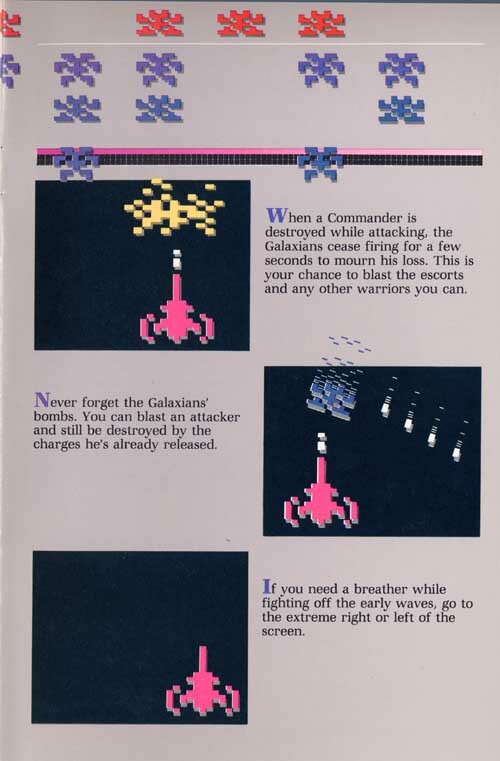 This turned out to be a relatively authetic conversion of the arcade hit - trying to get those 'combination' kills for big points was always a challenge. These days, I take the difficulty up to 9 and see if I can last more than one wave!